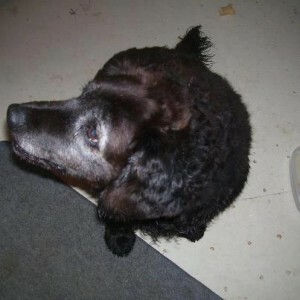 Additional Notes: FOUND DOG: Shag Harbour/ New Wharf Road area – Shag Harbour Fire Dept./ Shelburne County MALE: Lab/Cocker Spaniel mix (? ), elderly – not wearing a collar. Was found June 9/12 at 10:30 pm. Note: this dog was possibly seen wandering in Woods Harbour. 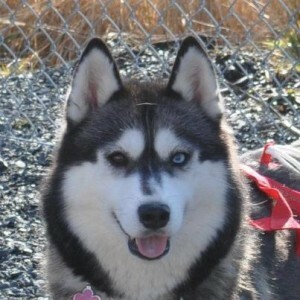 Additional Notes: LOST DOG: Mt Uniacke,132 East Uniacke Road, Hants Co. 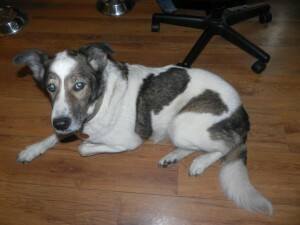 MALE: Border Collie,1.5 years old, red and white – split face, face is white with “red” diamond on one eye, curly coat, wearing a blue collar. NAME: Diamond He went missing June 9/12. He is friendly and loves balls. Additional Notes: FOUND DOG: Kingswood/Lakeshore Drive/Halifax County. 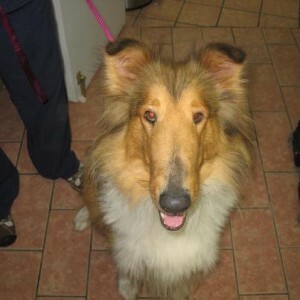 FEMALE: Rough Coat Collie. No Collar and No Microchip. Very affectionate. Our guess is ~3 years old. Found June 6/12 at 8:15 am. Please cross post and if you have any information please contact The Reception Team Westwood Hills Veterinary Hospital at 826-1933. Thanks to WHVH for keeping this dog safe. 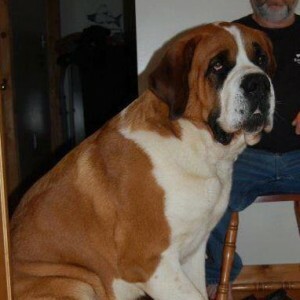 Additional Notes: LOST DOG: Whitehead/Whitehead Road/ Guysborough County MALE: St. Bernard, tan and white, 4 years old, micro chipped, 180 lbs. Wearing a green collar with yellow John Deere text. 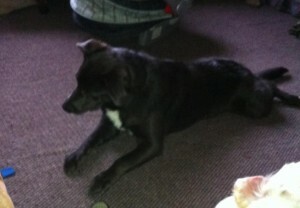 NAME: Boss Went missing Sunday, June 3/12 – 2 am early morning. Last seen at Half Island Cove area Sun. morning. 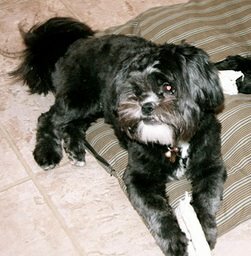 Additional Notes: LOST DOG:Clare /Hwy1 – 8491 Meteghan Center/ Digby County ***STOCK PHOTO – not actual picture*** FEMALE: Lhasa Apso X Shih Tzu, 1 1/2 yrs. old. She’s very small, all black with a little white on her chest and chin. Groomed, shaved with short hair, fluffy tail and ears, has an under bite, and her teeth are crooked. 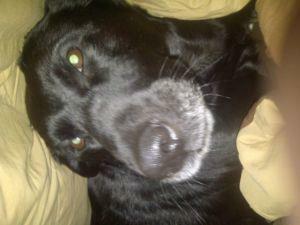 Not wearing a collar NAME: Bella Got out of her harness on June 3/12 11am at -Meteghan Medical Center. Additional Notes: LOST DOG: Salmon River/ Harmony Road/ Colchester County FEMALE: Lab/AmStaff mix, 1 1/2 year old, charcoal grey with a white patch on her chest. She has light tan eyes. Her collar is light green with gems on it. NAME: Skye. Went missing June 3/12 in the evening. She is timid around other people and will bark and probably run away. 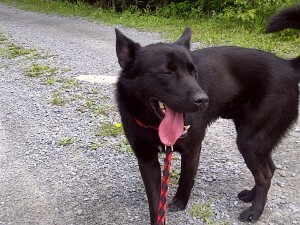 Additional Notes: FOUND DOG: Beaver Bank/ Sandy Lake Road/ Halifax County MALE: Black Shepherd mix (?) wearing a red collar. Found June 3/12 at approx. 1 pm. Please cross post and if you have any information contact Animal Services at 490-4000 or Homeward Bound City Pound at 407-7283. We thank Russ for keeping this dog safe.